Fatou Bensouda has officially replaced Luis Moreno-Ocampo (who is off to FIFA!) as the Chief Prosecutor of the International Criminal Court. With dozens of writers and observers scrambling to publish their thoughts on what Bensouda’s tenure will and should focus on, I figured I would add a collection of thoughts as well. African Savior of African-ICC Relations? There is no point in denying that Bensouda became Prosecutor in large part because she is African. Very early in the process of selecting a new Prosecutor, the African Union (AU) insisted that an African had to be selected. The AU subsequently met little to no resistance and endorsed Bensouda for the job last year. With that said, Bensouda was, in many ways, the perfect candidate. Her resume is sterling, allowing her – and her supporters – to rightfully argue that her record made her an ideal Prosecutor. She thus satisfied both the merit-based and political criteria for the position. Moreover, the sense of continuity she brings to the position after being Moreno-Ocampo’s Deputy Prosecutor may turn out to be a subtle but crucial aspect of her selection. Yet, it would be wrong to suggest that just because Bensouda is African she will immediately restore relations with those African states who have increasingly criticized the Court for its perceived bias in Africa. As I have argued elsewhere, I believe that the animosity of some African states toward the ICC is a result of the Court’s increasingly close relationship with key powers on the UN Security Council, a relationship that has reaffirmed rather than transcended the global power asymmetries that African states have long sought to undermine and make more equal. 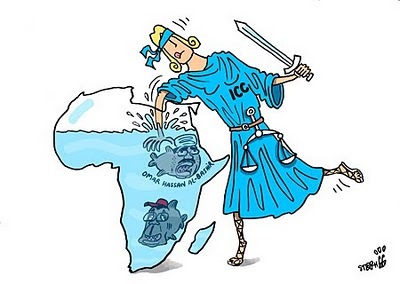 It is not surprising that the most vociferous critiques of the Court have come in the wake of UN Security Council referrals of Sudan and Libya to the ICC (as well as the ICC’s investigations in Kenya, which the Prosecutor opened on his own volition). After all, who wouldn’t be disappointed and angered with a Court that appears more interested in catering to the interests of a powerful non-member state, the US, than the thirty-plus member states from Africa without whom the Court would quickly slip into irrelevance? Of course, this doesn’t mean that the fact that Bensouda is African won’t have important implications. It will, especially in how the Court is perceived. Bensouda’s heritage will undoubtedly make it more awkward and difficult for members of the AU to say the Court is against Africa. After all, she is their selection! Moreover, we are likely to see a diplomatic dance between the African Union and Bensouda for the next little while as African states get a feel for her and the direction she intends to take the Court. Rather remarkably, Bensouda was invited to the African Union summit in July, already indicating a level of engagement that was impossible in the last years of Moreno-Ocampo’s tenure. One thing that Bensouda could do that I believe has the potential to transform relations between the ICC and African states, as well as boost the legitimacy of the Court, is to be tougher on the Security Council. The Council has instrumentalized the Court, nowhere so clearly as in the case of Libya. It remains a distinct possibility that the intervention in Libya will leave the ICC with a large bill, no one in the dock, and a debilitating controversy over ICC staff members. Will the ICC, under Bensouda’s leadership, stand up to key powers on the UN Security Council? On this matter, I have my doubts that the Office of the Prosecutor is ready to take a strong stance. Bensouda recently said that she views the ICC as a “tool” of the Responsibility to Protect (R2P) which, of course, can only be invoked by the UN Security Council. My guess (and it is just that) is that we will shortly see additional charges or a request for new arrest warrants by the OTP on gender crimes in the context of Libya. This would help set the tone for Bensouda’s time in office and make a clear break from Moreno-Ocampo’s tenure. In her numerous interviews (see here, for example), Bensouda has demonstrated her clarity and eloquence in communicating and her willingness to engage with criticism of the Court. This bodes very, very well for her and the ICC more generally. This point will probably stick out as a bit of an odd ball, but I believe that the role of Russia and especially China will be of particular importance over the next nine years of Bensouda’s tenure. As both states agitate – and achieve – more international influence, their cooperation with the Court will only become more vital. It actually isn’t crazy to imagine China joining the Court. The relationship between China and the ICC has historically been complicated, but it is important to remember that it hasn’t been as poor as many might assume. China participated actively in the negotiations leading up to the adoption of the ICC’s Rome Statute and has been an engaged partner in the ICC’s Assembly of States Parties since 2002. Not only has it been engaged with the Court, but it has, on occasion, voiced political support for the Court. While this may come as a surprise to many, China has even suggested that its accession to member-state status is a realistic possibility. For its part, Russian Foreign Minister Sergei Lavrov recently defended the ICC, declaring that the Security Council must respond to Libya’s failure to cooperate with the Court and said that Libya was in breach of Resolution 1970. I’ll leave the irony that a Russian Foreign Minister and not the ICC Prosecutor has been sharper on this point with you. Whether or not they join the ICC over the next decade is doubtful, at best. But cooperation between the Court, Russia and China may very well be a key to the Court’s continued salience. More of the Same but Better? Of course, for now, this is all speculation. Bensouda deserves the benefit of the doubt. 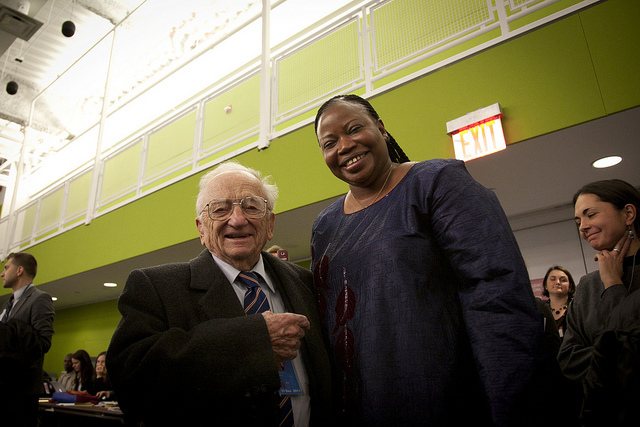 The extent to which she can transform and improve the ICC will only become clear in the coming years. This entry was posted in African Union (AU), Fatou Bensouda, Human Rights, ICC Prosecutor, International Criminal Court (ICC). Bookmark the permalink.